So you just downloaded a sick new patch, but you're wondering how do I actually get these files onto the game? It's actually a quite simple process and you will be playing with your newly customized game in no time! imgTuna: This will change how your ships, lasers, nades, cursor, and explosions look! imgTiles: This changes how the walls, teleports, switches, and general color! imgFarplane: This is the background of the game. You can make this anything, but be careful not to make it something too distracting! 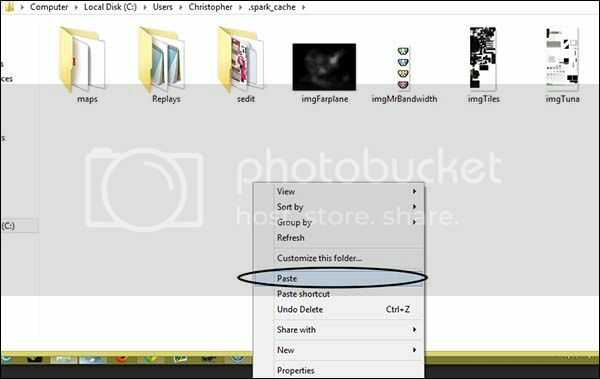 Step 2: Select all three files and then right click, and select cut! After you do this the files may disappear. This is fine! Step 3: Locate your .armorcritical folder! This is done by going to my computer, selecting C:/, Users, Your username on your computer, and then .armorcritical. Double click this folder to open it. Step 4: Right click anywhere in this .armorcritical folder and then paste. You're done! You've successfully installed your ArmorCritical patch. Enjoy! Noticing you're having troubles with your interface after you've installed your new patch? Type /toggle patchfix when you enter a game and it should fix itself. This post was last modified: 12-07-2014, 03:10 PM by Odoacer. Viola, you can see your spark patches and maps, etc. This post was last modified: 12-07-2014, 03:09 PM by Odoacer.